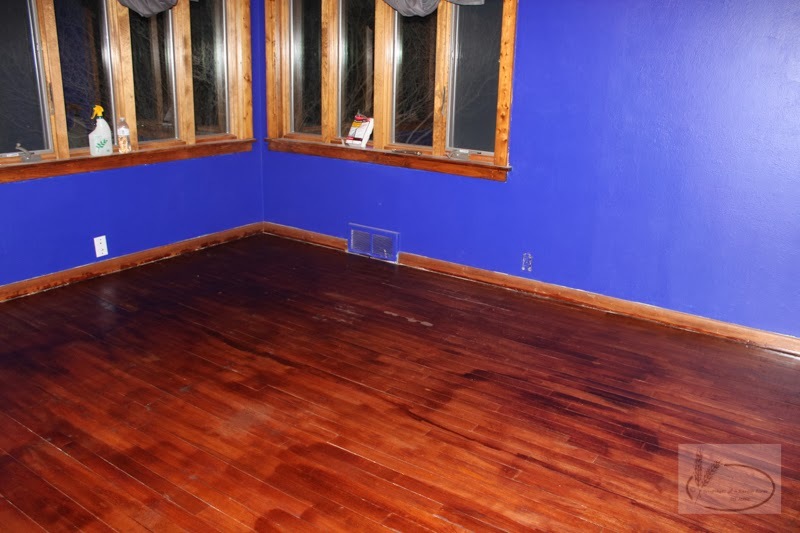 Snapshots of a Kansas Farm: Red, Brown, and Orange....Floor Update! We have been working hard on the floor. The frustrating part is summed up in the words, "hurry up and wait." 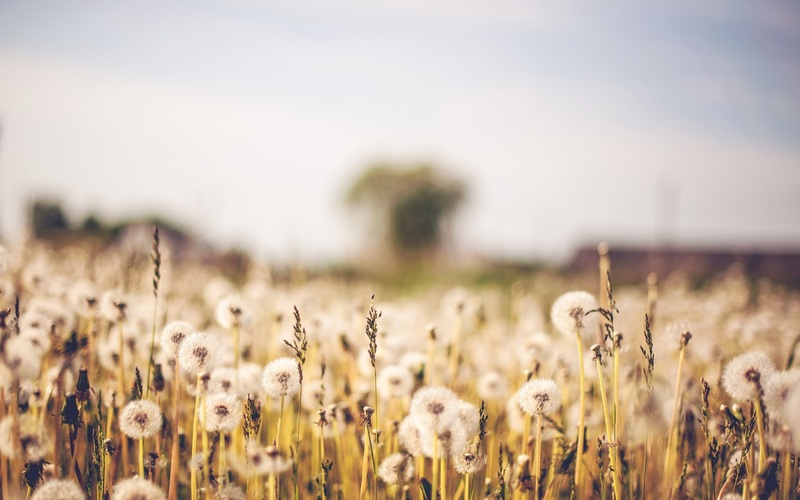 We rush to get the next step done and then we have to wait hours, a day, or even days to start the next step. We finally got the floor stripped completely and ready to stain. We had to fill in a few areas with wood filler before staining. A piece of advice, don't use wood filler unless absolutely necessary, even stainable products. The wood filler doesn't stain to the same color and now since we know the spots are there...they stick out like a sore thumb. We have to remember we are not professionals, but with a floor as beautiful as we started with, why not strive for perfection? 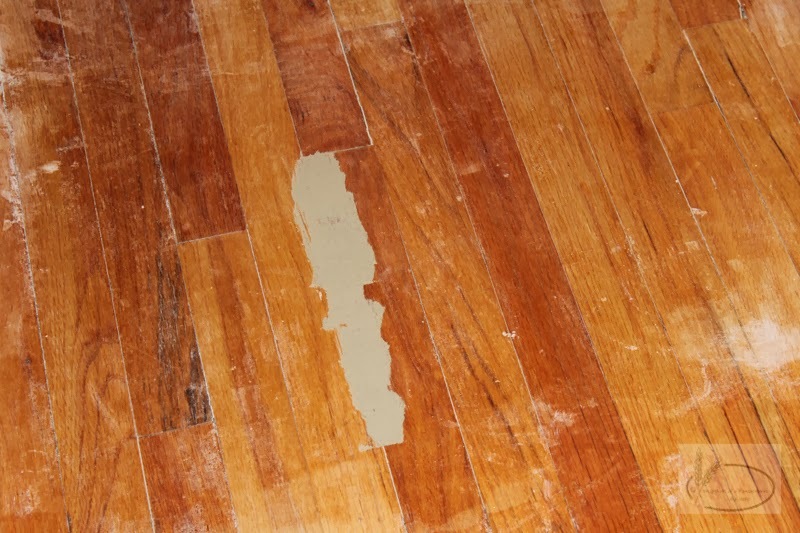 Here is what the wood filler looked like and a good before picture of the floor. 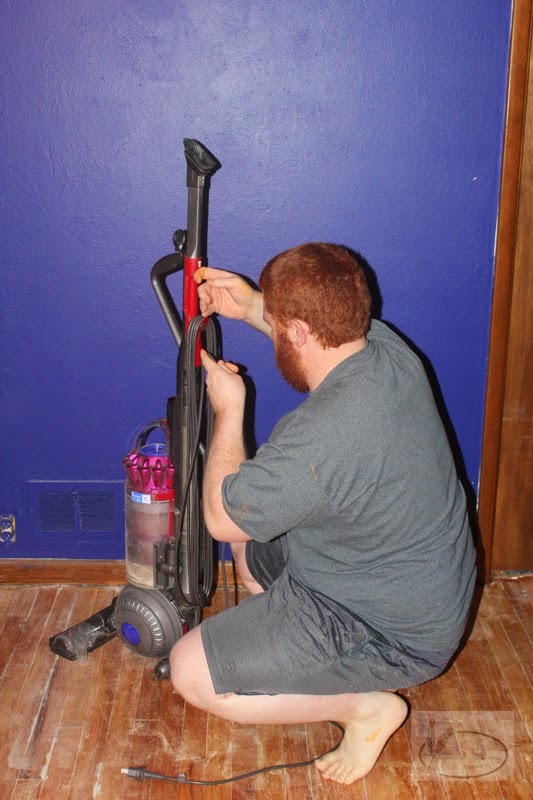 Redbeard got right to work vacuuming and preparing the floor for stain! 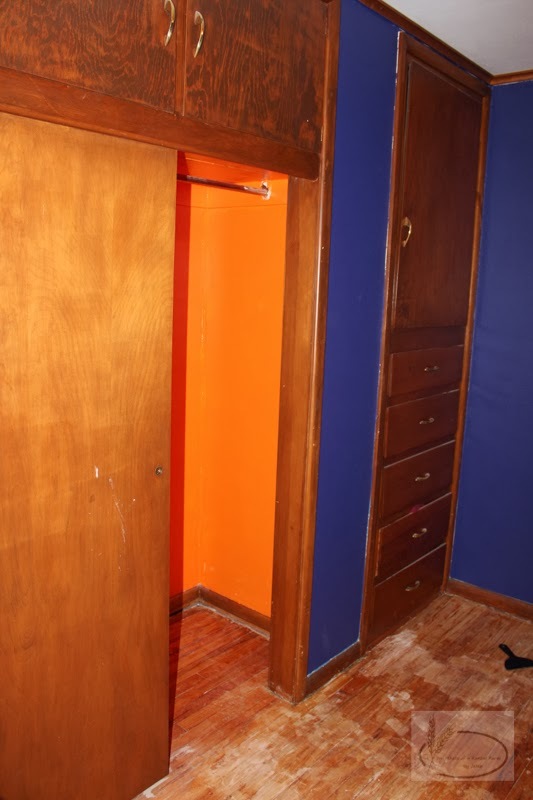 While he prepared the floor to stain, I spontaneously decided to paint the closet. My color of choice? Bright orange! This is where my mom cringes. (For those of you who know her, she would say I am crazy.) 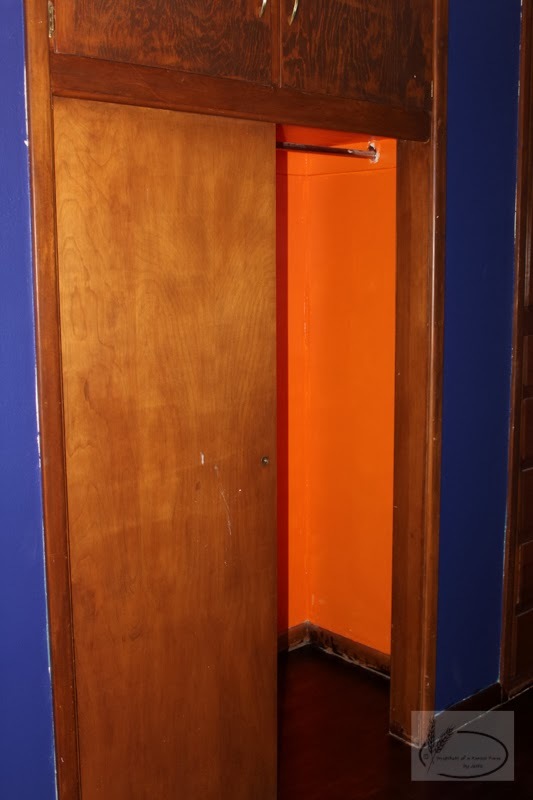 I wanted something bright since this closet is not lit with natural or artificial light. The closet looks so much more inviting when it doesn't look dark. Here is the result! Can you tell I love bright colors? Redbeard helped me finish painting the closet and he was ready to stain the floor! 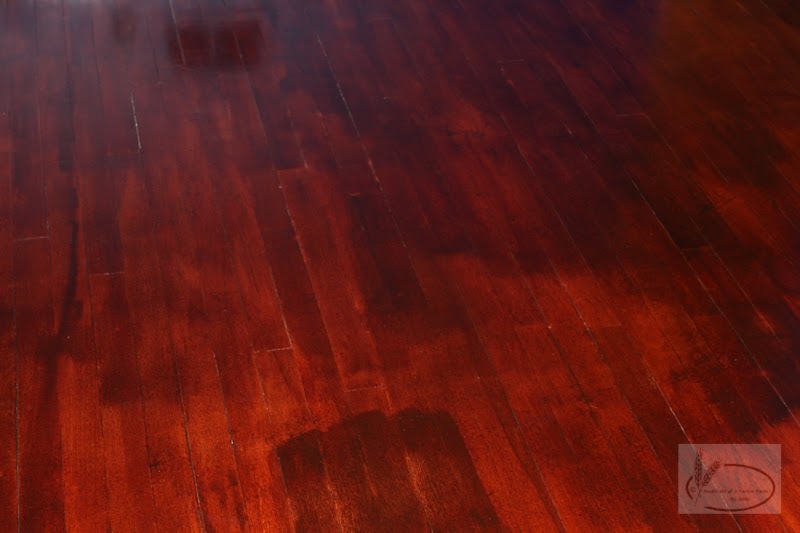 We used Minwax Red Oak stain. Redbeard putting away the vacuum. What a good husband! Redbeard doing the hard work for me! 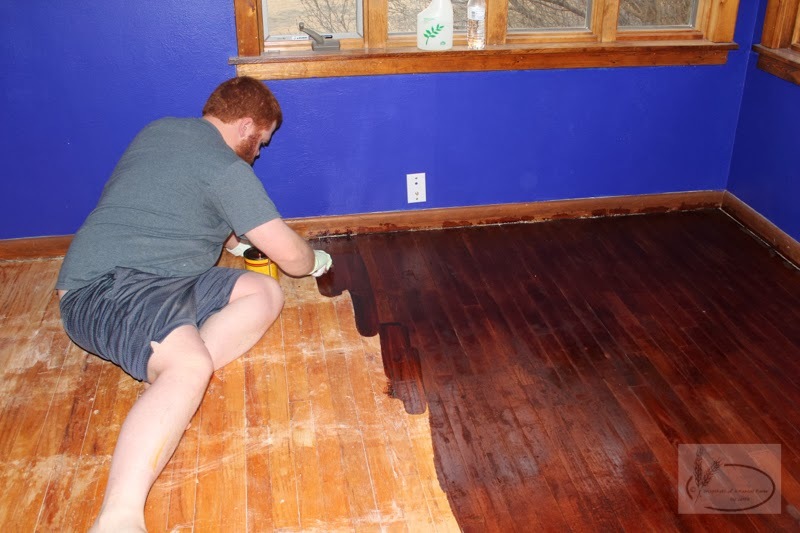 After the first coat dried, Redbeard added a second coat and the floor was ready to have polyurethane applied! He applied the polyurethane with a wide, natural bristle paint brush. I would say he did a great job! Here is the finished product. Two coats of stain and three coats of polyurethane. And my bright closet with red oak stained floors! Now we have to wait for one whole week before putting everything back in the room! I am so ready! Everything from this room is in the living room! The cats love the new places to sit, but I am tired of weaving through a dresser and rocking chair to get to our room! 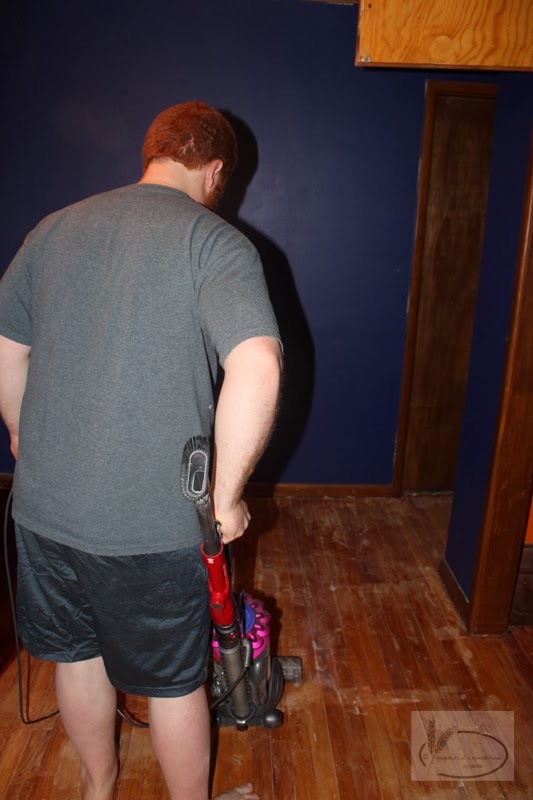 A big thank you to Redbeard for doing all the hard work and Bobbi at Ace Hardware in Phillipsburg for helping us get all the necessary items to finish our floors!